There are two levels of membership in the Society. In addition to receiving Heredom, The Plumbline, and discounts on Scottish Rite merchandise, SRRS members who pay their dues before the end of the year they are due occasionally receive an extra “bonus item” produced for that year. This is our way of saying “thank you” to members who stay dues-current. Remember to visit the Scottish Rite Research Society section of the Store to see what products are available with your membership discount. Call the Scottish Rite Store toll-free at 1-866-445-9196, Monday through Thursday, from 7:00 a.m. to 5:00 p.m. Eastern Time. Please have your credit card (VISA, MasterCard, American Express, Discover) information ready. You may download a current membership application form (PDF reader required) from our on-line store by clicking here. 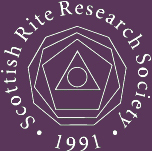 If you are already a member and would like to renew your membership, you may do so on-line at www.ScottishRiteStore.org, by post, or by phone. Donations of any amount to the Scottish Rite Research Society are greatly appreciated. Donations will go toward defraying the costs of the collection, typesetting, printing, and storage of research materials and publications of the Society. If you would like to make a donation to the Scottish Rite Research Society, please click here.